California-based developer Selectsoft is pleased to announce the release of their premium hidden object game Time Chronicles™: The Missing Mona Lisa for Android. A classic hidden object game with a time travel twist, The Missing Mona Lisa offers on-the-go entertainment for iPad and Android phone and tablet owners that are looking for an addictive blend of immersive art and classic puzzle gameplay, plus an easy-to-use touch interface and high-resolution pictures. Travel through time to solve a dastardly crime! Family-friendly game developer Selectsoft is pleased to announce the release of their premium hidden object game Time Chronicles™: The Missing Mona Lisa for Android. A classic hidden object game with a time travel twist, The Missing Mona Lisa will take you to exotic locations and extraordinary eras around the world as you follow the mysterious thief known as the “Time Chameleon.” Selectsoft's most immersive and fully-featured HOG title, The Missing Mona Lisa features fun gameplay, rich visuals, diverting mini-games and thousands of hidden objects. The adventure storyline adds a little sci-fi fantasy to the pure hidden object gameplay as players work to save the iconic painting. In the game, the Mona Lisa has been stolen and scattered through time. As Chief Investigator of Interpol’s Environmental Crimes Unit, players must hunt down the thief and recover the painting before the damage to the timeline is irreversible. To locate the sinister Chameleon, players search scenes for hidden “time traces.” Gather enough time traces in each scene, and the Time Distorter will open a pathway through history so players can travel backwards in time to search the same place in the past. The modern world fades and a bygone era emerges, renewing the search. Locations include the Tower of London today and also during the Middle Ages; Central Park now and in the Sixties; a treasure room in modern Moscow, and the same room during the reign of the last Tsar; and more. Solving both puzzles unlocks another piece of the missing painting and takes players one step closer to capturing the criminal. As players track the path of the Chameleon by collecting the clues in each parallel scene in the present and past, the investigation travels to exotic locations and extraordinary eras around the world. Players can even enter Da Vinci’s workshop during the present, then explore the master’s studio in the middle of the Renaissance. 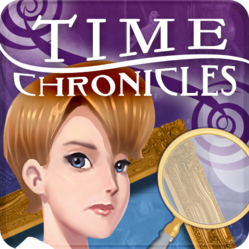 Time Chronicles: The Missing Mona Lisa is designed for fans of classic hidden object games, focusing on the pick-up-and-play aspect of the game rather than a baroque, complicated storyline. 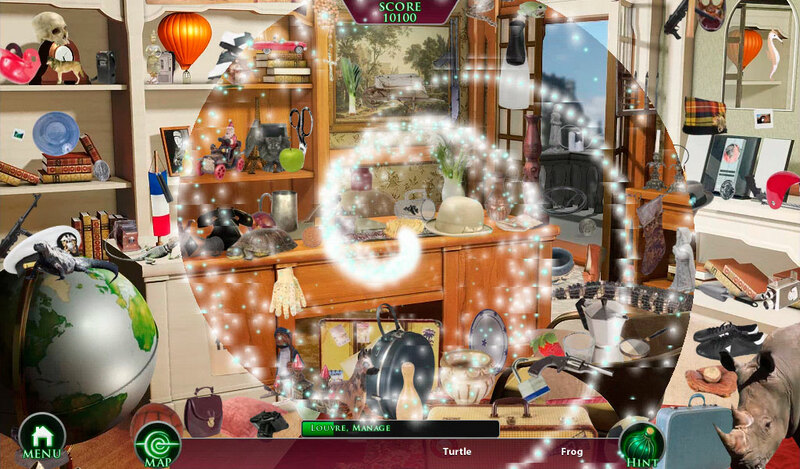 Detailed art and evocative sound effects create an imaginative atmosphere while the unique twist provides a new way for players to exercise their hidden object skills. 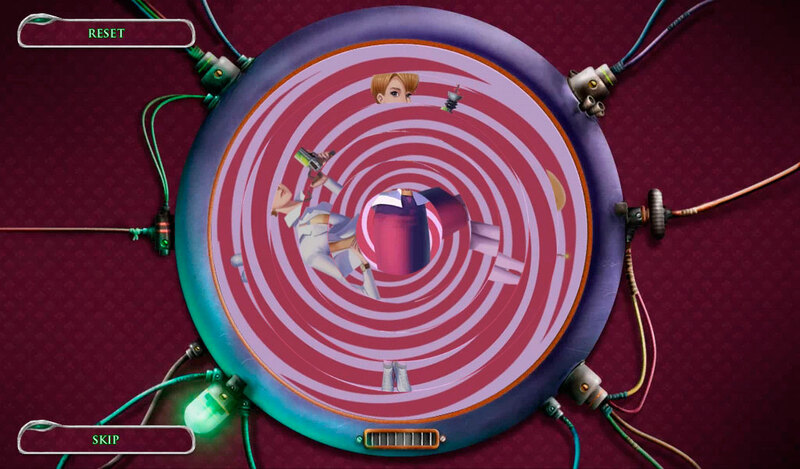 The Android version of Time Chronicles features an easy-to-use touch interface, high-resolution pictures and useful hints for on-the-go entertainment. With it, Selectsoft hopes to tap into the under-served casual HOG market on phones and Android devices. Time Chronicles: The Missing Mona Lisa joins Selectsoft's line of chart-topping iPad and Android hidden object games that includes Hideaways: Foggy Valley HD, Mystery Europe! HD, Secret Empires of the Ancient World HD, Secret Journeys: Cities of the World HD, City Mysteries HD, Gothic Masquerade HD and Hidden Collection HD. Time Chronicles: The Missing Mona Lisa is available now on Google Play, the NOOK Color™ by Barnes & Noble and on the Amazon Appstore, through the App Store in the iPad Games category and coming soon for the iPhone. Headquartered in San Mateo, California, Selectsoft is a leading developer of family-friendly games and apps, creating best-selling games for iOS, consoles, Android, Mac and PC. It's also one of the largest independent publishers of PC and Mac software, featuring licensed content from Broderbund, Disney, The Learning Company and many more. For almost 20 years, Selectsoft has been dedicated to providing affordable, fun entertainment for the whole family. Visit http://www.selectsoft.com to learn more.